But people will always comeback for redemption and vengeance. The third chapter is what justifies what's come before. A guild master can bring a maximum of 50 Warfarians. The attending Warfarians will gain +60 Fame and +60 Medal per kill. Each kill contributes 1 point to the guild. 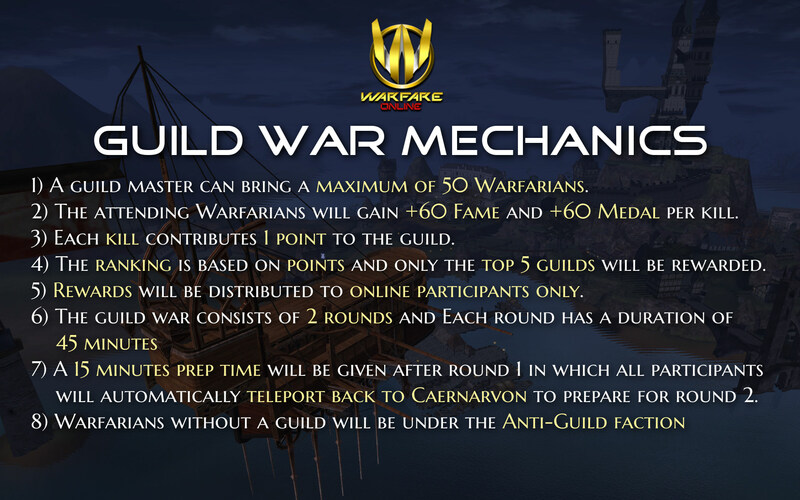 The ranking is based on points and only the top 5 guilds will be rewarded. Rewards will be distributed to ONLINE participants ONLY. 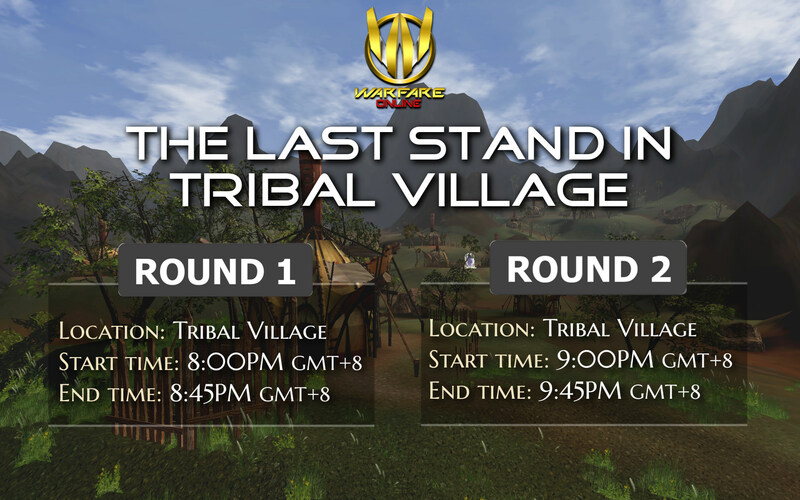 A 15 minutes prep time will be given after round 1 in which all participants will automatically teleport back to Caernarvon to prepare for round 2. Warfarians without a guild will be under the Anti-Guild faction. 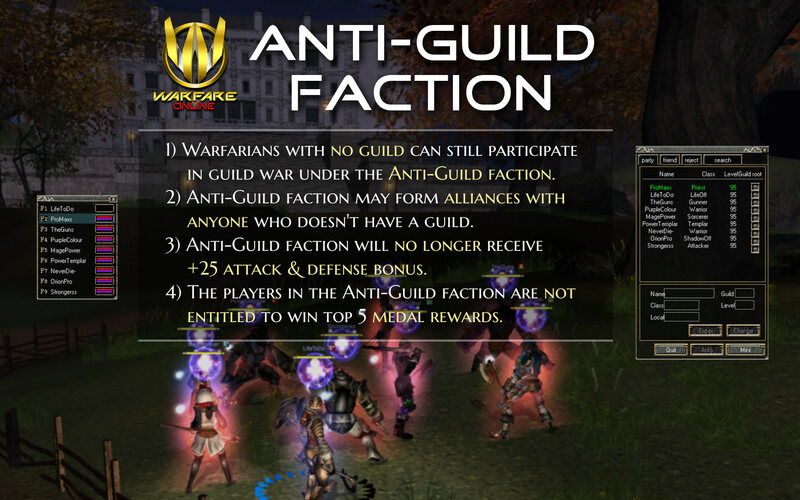 - Warfarians with no guild can still participate in guild war under the Anti-Guild faction. 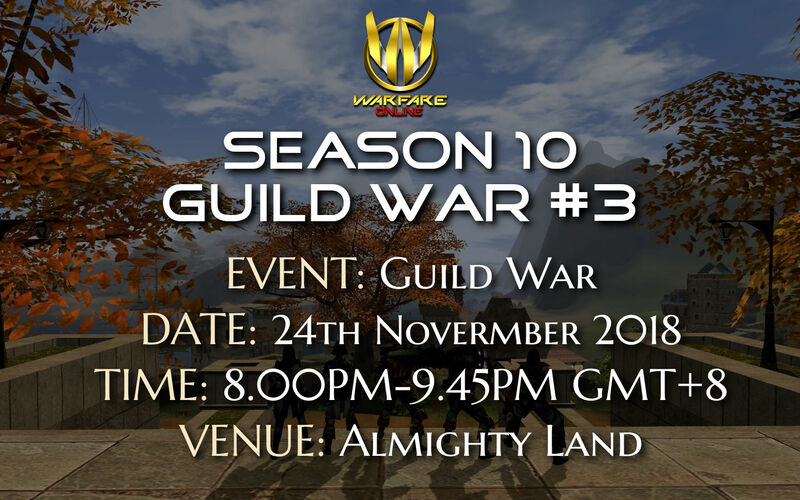 - Anti guild faction may form alliances with anyone who doesnt have a guild. - The Anti-Guild faction will no longer receive +25 attack & defense bonus. 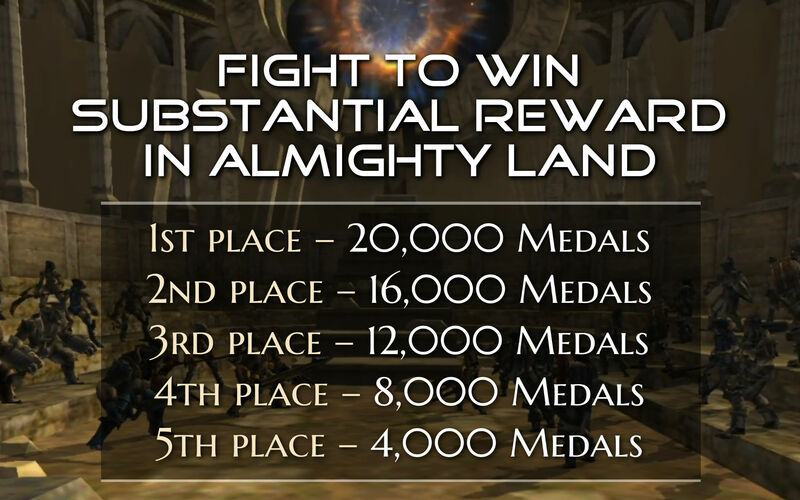 - The players in the Anti-Guild faction are not entitled to win top 5 medal rewards. Note: Previous teleportation bug within Almighty land has been resolved.